When you exercise, sweating causes you to lose important body salts – like sodium and potassium – that need to be replaced. Many advanced athletes get in the habit of weighing themselves before and after exercise, in order to figure out how much fluid needs to be replaced. For each pound that you lose during activity, you should drink about 2-3 cups of liquid (or about one litre of fluid per kilo of weight loss). Water is fine as a fluid replacer, since you’ll be eating afterwards – which means you’ll pick up carbohydrate, sodium (and likely some potassium) and from your foods. Sports drinks are great since they provide not only fluid and carbs (some even have a bit of protein – which your body also needs), but the right balance of salts that have been lost through perspiration, too. And, they usually have a mildly light, sweet taste that often encourages you to drink more. After a hard workout, your body has burned through a lot of carbohydrate – the primary fuel that keeps your muscles working – and it’s important to refuel as soon as you can. The recommended amount is about 1.4 grams of carbohydrate per kilogram of body weight (or, 0.6 grams carbohydrate per pound of body weight). That’s about 100 grams of carbohydrate for someone weighing 165 pounds (75 kg). Healthy carbohydrates – fruits, whole grains and the natural carbs in dairy products – are a good place to start with post-workout snacking. A bit of protein is important in recovery, too, since it helps to stimulate muscle repair and growth after you’ve been working out. It doesn’t take much – about 10 grams of protein or so will do. The ideal post-exercise meal or snack contains a combination of healthy carbs and protein, which is why athletes often turn to foods like a sandwich on whole grain bread, a dish of yogurt and fruit, a protein shake made with milk and fruit, or specially formulated recovery beverages. When you exercise, your muscles become very sensitive to the nutrients that are available – and that sensitivity lasts for a limited amount of time. That’s why many athletes who want to optimize muscle recovery pay attention to this “metabolic window” – the time period of about 30-45 minutes after exercise during which you should try to eat your carbs and protein. 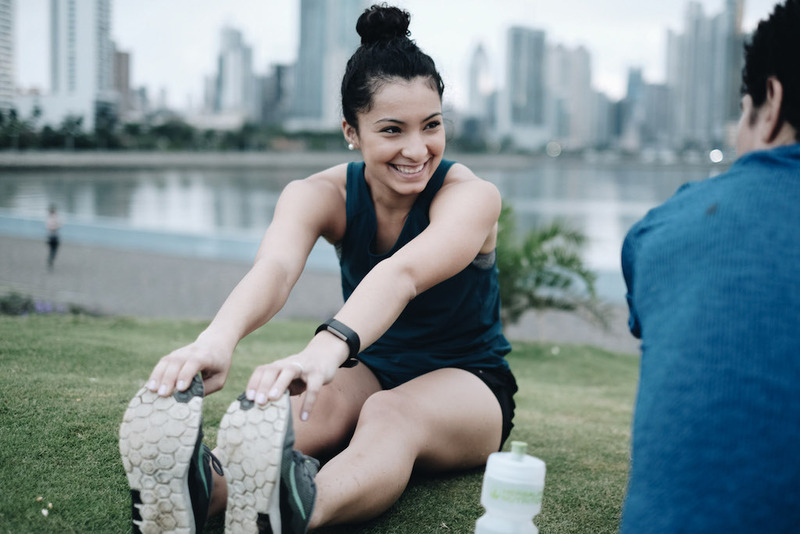 During this critical time after you exercise, your muscle cells are more sensitive to the effects of insulin – a hormone that helps transport amino acids (from protein) into your cells. Insulin also works to drive carbohydrate into the cells, where it is stored in the form of glycogen. This stockpile of carbohydrate can then be used to provide energy to working muscles during the next bout of activity.